Fundamental Technologies, LLC, of Lawrence, Kansas, is the official production center for Ulysses HISCALE data. 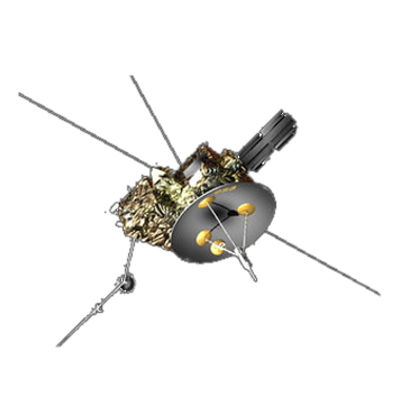 The following preface gives a brief overview of the Ulysses mission in addition to the procedures used to create, distribute, and archive the data that originates from the HISCALE instrument on the Ulysses spacecraft. Mission Background. 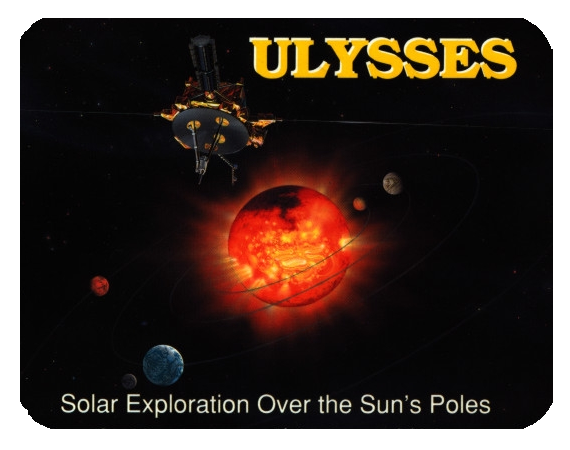 The primary purpose of the Ulysses mission, a joint venture between the European Space Agency (ESA) and the National Aeronautics and Space Administration (NASA), was to explore the inner heliosphere of the sun away from the ecliptic plane. This mission was unique in that the spacecraft traveled over the solar poles, exploring regions of the sun in a manner not previously attempted. The project began in 1977 and was originally called the Out-of-Ecliptic mission. It was later renamed the International Solar-Polar Mission (ISPM) and finally given the name Ulysses in 1984. The initial plans included two spacecraft, one each provided by ESA and NASA, to be launched by a NASA Space Shuttle in February 1983. The two spacecraft would carry different scientific payloads and would orbit the opposite solar poles simultaneously. But Space Shuttle development problems delayed the intended launch and later US budget cutbacks eliminated the proposed NASA spacecraft contribution altogether. To continue the mission, plans were modified so that NASA's Space Shuttle would launch an ESA built spacecraft in 1986. The explosion of the shuttle Challenger in 1986 postponed all shuttle launches for a few years. Finally, on October 6, 1990, the Space Shuttle Discovery was launched with Ulysses aboard. Six hours into the flight, the spacecraft was separated from the shuttle. One hour later, a series of events constituting the ignition/burn of the two-stage IUS/PAM-S (Inertial Upper Stage/Payload Assist Module) sent Ulysses on its way toward Jupiter. The spacecraft was sent to Jupiter into an out of ecliptic orbit with a technique called Gravity Assist Maneuver. The spacecraft arrived at Jupiter in February 1992, and used the planet's immense gravity to swing it back toward the south pole of the sun. Ulysses was originally scheduled to be a five year mission, with the first south polar pass occurring in June-October 1994 and the north polar pass occurring June-September 1995. A second orbit of the sun occurred in 2000-2001 and a third in 2007-2008. As the fuel lines have gradually frozen, the mission is now considered to be over. Fundamental Technologies Responsibilities. In addition to being the production site for Ulysses HISCALE data, Fundamental Technologies (FT) has many other responsibilities relative to the mission. These include distributing and archiving the data, writing and maintaining software, and data analysis. Data Production. FT is the only official production site for HISCALE data which means that the files created by FT are recognized by NASA and the world's scientific community as being the only "true and complete" data files from the HISCALE instrument. Other HISCALE team sites may use the raw data from JPL to run their own programs and create various data files for analysis by their site. Other team sites may also use the production files created by FT to use as input files for various data analysis programs. FT production files are eventually being archived with the affiliate NASA institutions as the official files. One facet of production entails ensuring the timely delivery and integrity of raw data from JPL. This may be a time critical step as the health of the instrument may depend on receiving the data and processing it for analysis of any possible problems. If the integrity of the output is questioned, measures can be taken (such as instrument recalibrations) to correct the problem. Other problems may indicate a fault of the spacecraft rather than the instrument which would also require timely analysis of output data to determine a problem resolution. Of the HISCALE team sites, Fundamental Technologies is in the unique position to be the first to determine any potential problems and is responsible for notifying the appropriate people. Data Distribution. Once production files are created, they are distributed to the HISCALE team members. Future plans pertain to supplying NASA with the official production files for permanent archives. Plans are also being made to distribute files in the future to a common data pool of all experiments. The specific files, formats, and distribution methods have not been determined at this time. Other requests may be made on a non-routine basis to supply files or data to NASA agencies or science institutions. FT also acts as the distribution point for various other files and data received from JPL or other institutions. Team members are given directory structures of the FT computers used for data distribution so they may copy files across the net. Data Archives. Fundamental Technologies is the archive site for all HISCALE production data and associated files. This includes the raw data received from JPL, the final production files, and the source code for much of the production and analysis software. Since not even JPL retains the raw data for a long period of time, it is essential that appropriate copies of all data be maintained at Fundamental Technologies. Production and Analysis Programs. Programmers at FT have contributed heavily to modifying existing production software and to writing new programs used in production and analysis. FT is responsible for maintaining this software and for writing new programs deemed necessary by the team for production and analysis. Acknowledgments.The HISCALE investigation has been conducted with the support of ESA and NASA in many forms. Program and project management, engineering support, financial, and scientific components of the HISCALE investigation have all been importantly aided via the Jet Propulsion Laboratory and the European Space Research and Technology Center. The persons involved are too numerous to list exhaustively here. The HISCALE team would like to specifically mention several individuals whose work has proven to be especially critical to success: Peter Wentzel, Richard Marsden, and Ed Smith as project scientists; Edgar Page, Derek Eaton, Willis Meeks, Ed Massey, and Jim Willett in project and program management; Peter Beech, Nigel Angold, Shawn Stanley, Don Meyer, Joe Springer, and John Johnson in mission and data operations. This Handbook reproduces the contributions of many of the engineering staff from JPL, the Johns Hopkins University Applied Physics Laboratory, the University of California and Berkeley Space Sciences Laboratory, and the students and programmers from Fundamental Technologies, LLC. Major contributions to HISCALE success have been made by Ed Keath, Steve Gary, Ed Hawkins, Chip Townsend, Dennis Fort, Steve Williams, and Lori Suther at JHU/APL; Carol Maclennan of Bell Labs; Dave Curtis, Roger Williams, Bob Campbell, and Robert Weitzman at the UCB/SSL; Alain Kerdraon at the University of Paris, Meudon; James Tappin of the University of Birmingham; Henri Marquier and Marcel Decamps at CNES. Students and staff at the University of Kansas who have contributed include Glenda Shelley, Teck Hock Choo, Xiaodong Hong, Tizby Hunt-Ward, Dennis Haggerty, Juan Gomez, Alexei Nikitin, Ruslan Davidchak, John Buckley, Gene Holland, and Vince Reinert. Essential to the success of the HISCALE investigation was the work of Bill Frain, our project manager at the Johns Hopkins University Applied Physics Laboratory. That Bill Frain did not survive to enjoy the substantial scientific successes achieved by the HISCALE investigation saddens us all and reminds us of the imperative to produce the maximum return to science in honor of those who did not survive to experience it personally. We dedicate this document to the memory of Bill Frain.